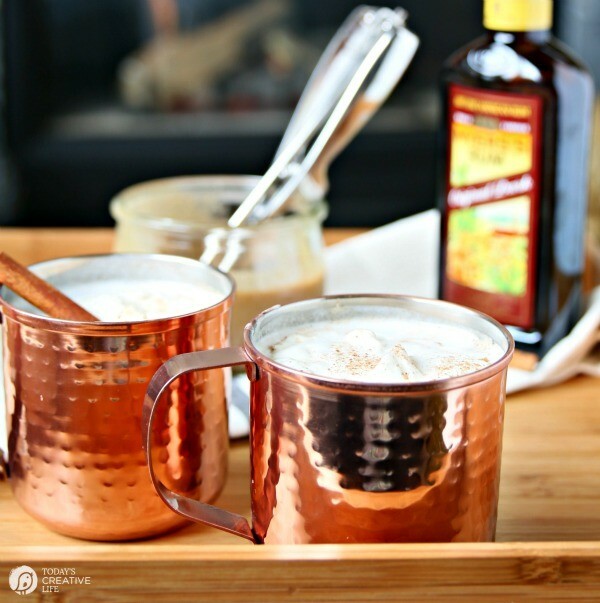 Hot Buttered Rum Recipe – Holiday Happy Hour! This traditional holiday drink goes way back. 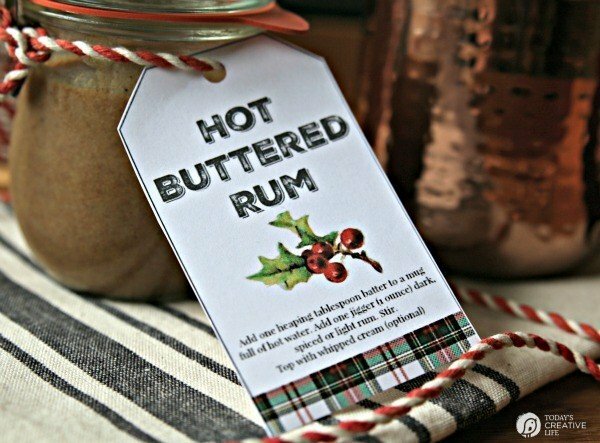 Everyone should have a good homemade Hot Buttered Rum Recipe in their holiday arsenal! 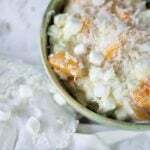 This recipe is unique because it’s got ice cream on the ingredient list. You’re going to love it! 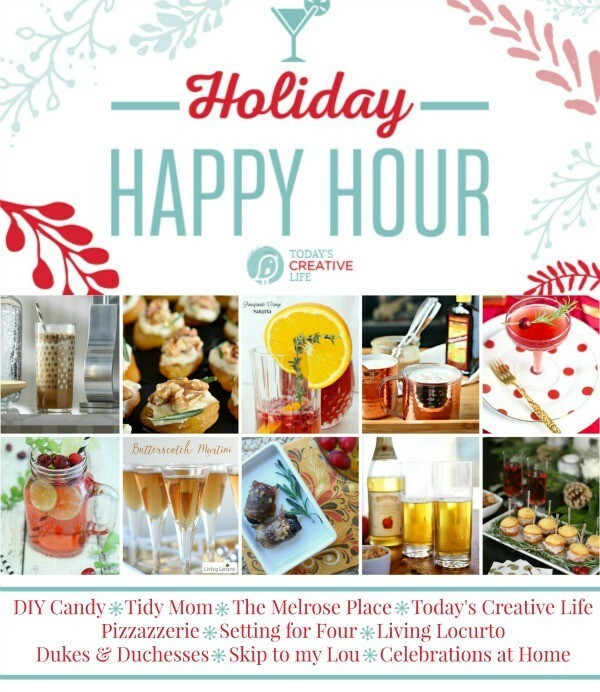 Welcome to the Holiday Happy Hour where 10 bloggers are sharing their favorite holiday recipes for delicious drinks, cocktails and appetizers to get you holiday ready! If you’re joining me from Pizzazzeri, I’m so happy to have you! 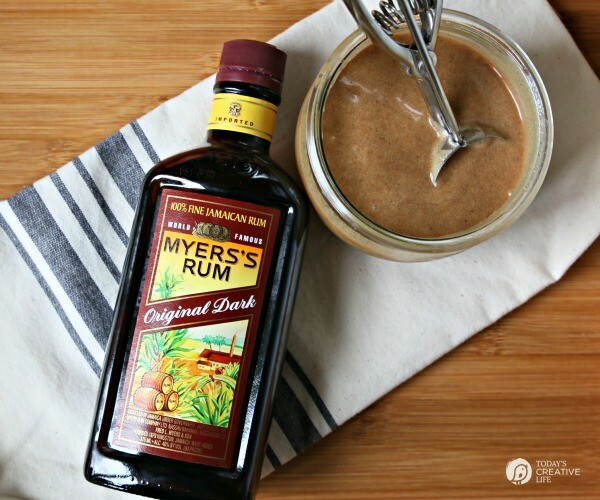 Sit back and enjoy a Hot Butter Rum I made just for you! 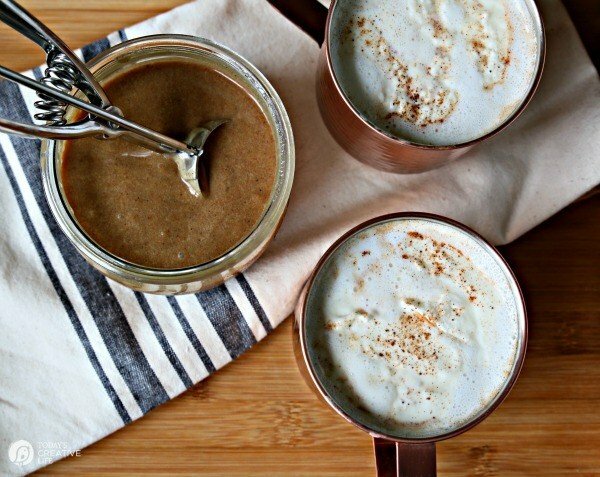 This Hot Buttered Rum Recipe isn’t just any recipe…. keep reading to see why! We usually have a couple of holiday parties every year. And every year, I am scrambling for new appetizer and beverage recipes. 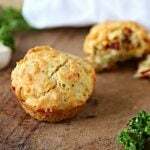 This year, I gathered a few of my blogger friends for a fun Holiday Happy Hour where each of us will share a delicious appetizer or beverage. 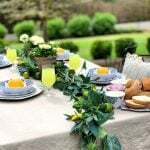 After visiting everyone’s site, you’ll have so many fantastic recipes and ideas for your next party or potluck! 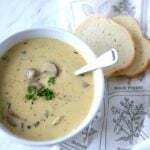 You’ll be going from one party (blogger) to the next, kind of like a progressive dinner! At the end of each post, each blogger will direct you to the next. Shall we start? I was thumbing through my mom’s old recipe box and came across this old recipe for homemade Hot Buttered Rum. I remember my mom making large batches around the holidays to hand out for gifts. This isn’t your normal Hot Buttered Rum recipe, this one has a secret ingredient. The secret to this recipe is the vanilla ice cream. I always thought it was so odd that she would stir in ice cream……. now I know why. It makes it SO creamy and delicious! 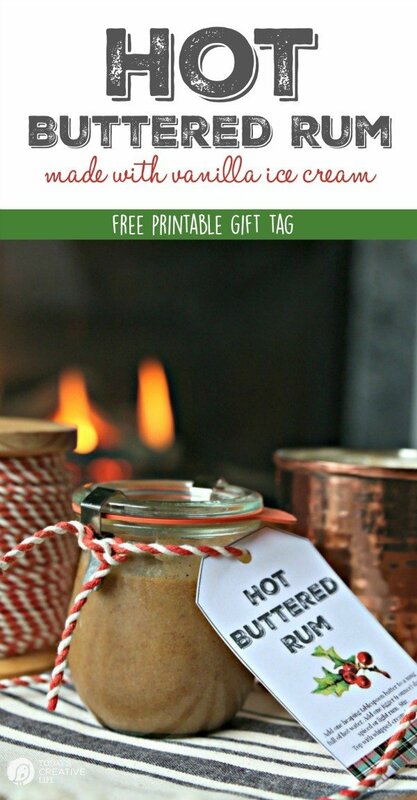 I bet she wished she had these free printable tags to make her homemade gifts even more special. 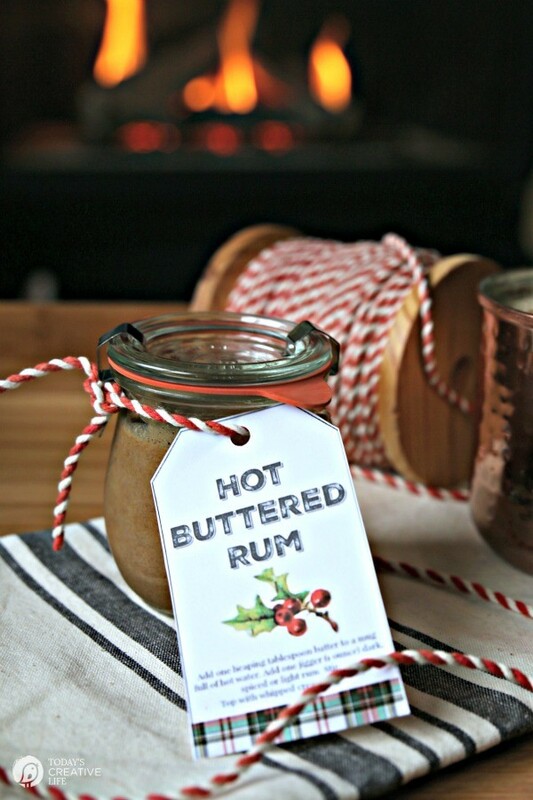 Hot Buttered Rum is the perfect drink for sitting by the fire. It’s also a super easy drink to make during a party. You just add a heaping tablespoon (or more) to a mug of hot boiling water or warm milk. I like using milk myself, but most people prefer water. 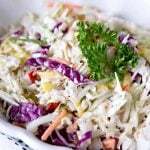 Stir it up until it melts and top with whipped cream. As you can see my whipped cream melted pretty fast, but it’s all good. It just makes your hot drink a little creamier. You could garnish with cinnamon sticks for a festive look, or just drink it as is (my cinnamon sticks sank to the bottom). Even though my whipped cream melted and my cinnamon stick sank, it didn’t stop me from enjoying my drink. I added Myers’s dark rum, but you can use any kind you have. A spiced rum would be pretty tasty too. Of course, you could drink it without rum, but then it would be just a Hot Buttered. Right? After you make up a batch, you’ll want to store it in the freezer. So if you plan on giving this as a gift, you’ll want to let them know to pop in in the deep freeze once they get home. With a larger mug like my copper ones (which I found at Target), I added 2 tablespoons of the batter. That’s the beauty of this homemade hot buttered rum recipe, just add the amount according to taste. You can also add this to other hot drinks for variation. Add to coffee, apple cider, steamed milk, or just keep it simple. 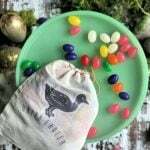 I thought the batter would look perfect in a small Weck jar, along with my printable Hot Buttered Rum gift tag for quick and easy holiday gifts. Great idea for neighbors, or to hand out as a parting gift at your holiday party. I’ve added the easy recipe directions right on the tag, but you’ll want to remind them to keep it in the freezer. Download your free printable gift tags here. Ok….. Are you ready for your next round for this Holiday Happy Hour? Next stop is The Melrose Place! 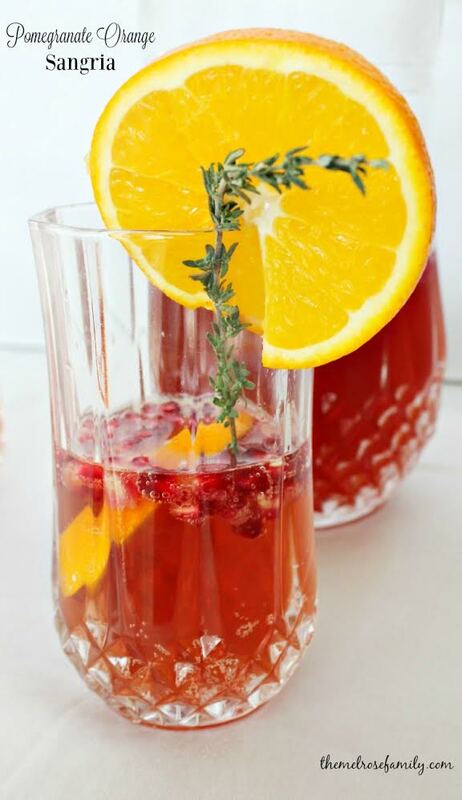 Jenny from The Melrose Place is sharing this festive Pomegranate Orange Sangria! I love a good Sangria! Always great for a crowd! 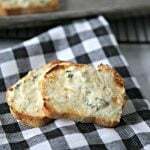 Head over to get her recipe and see where she sends you! Stir in brown sugar and powdered sugar and stir until well blended. It will be thick and smooth. Remove from heat and stir in the ice cream and spices. Go ahead and taste it. It's yummy! 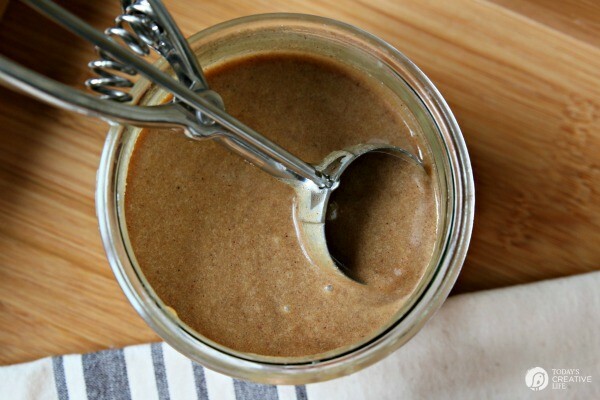 You may want more nutmeg or cinnamon, feel free to add more. Pour into a freezer safe container and freeze until you're ready for a little drinky poo. This keeps for a little over a month. Add 1 heaping tablespoon (or more) of the batter to your mug. Fill to the top with boiling water or steaming milk and stir. 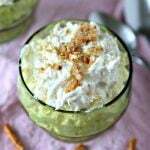 Top with whipped cream and garnish with a cinnamon stick or a sprinkle of nutmeg. Variations: Add to hot milk, apple cider, coffee or hot chocolate. Some links contain affiliate links. Holly image for the gift tags was found at The Graphics Fairy. I love everything about this! 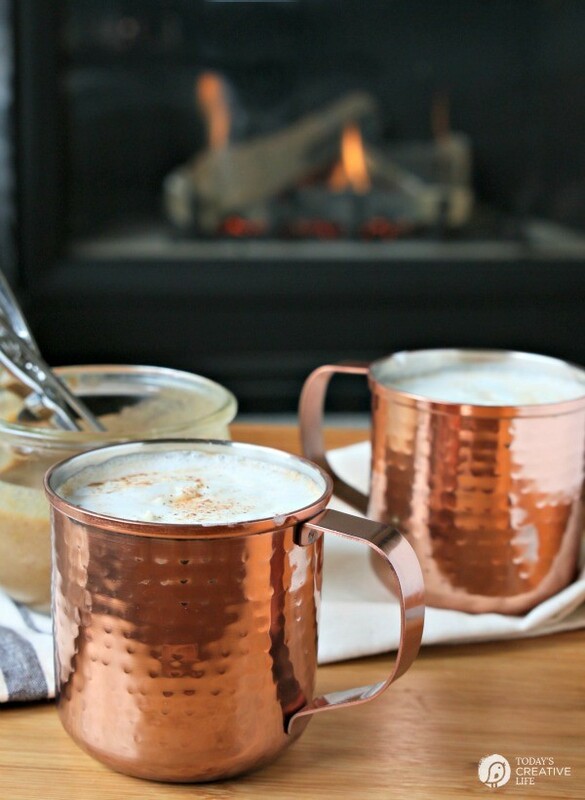 I also need those copper mule cups. They are so fun. aren’t those perfect? I love them! I wish we could sit down with a Hot Buttered Rum right now! sounds delicious Kim, I’ve never had hot buttered rum!